I started with two coats of Black Magic from Revlon. I used Cosmic Dust From China Glaze for the stamping. I keep saying to myself that I really should get the rest of the polishes from the China Glaze Holographic collection, but for some reason I keep forgetting they are so wonderful for stamping! 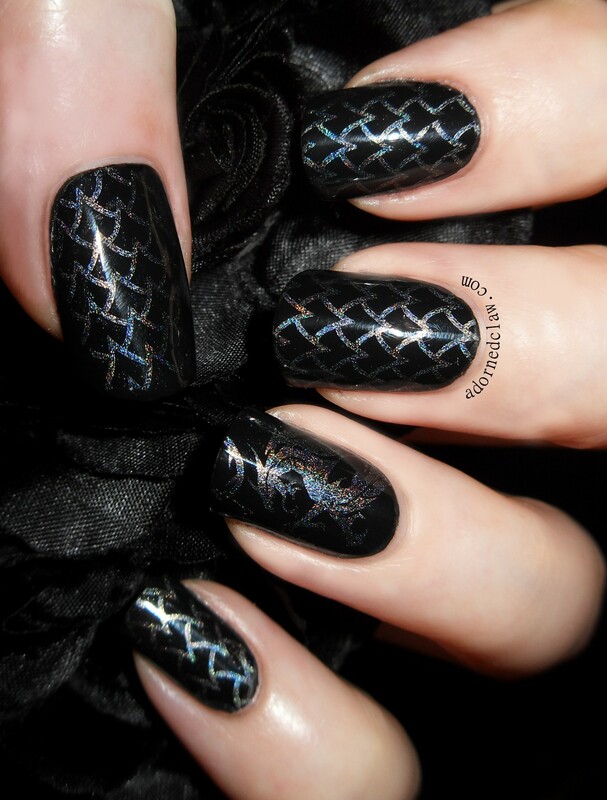 The images are from the Scaly Things MM21 plate by Messy Mansion, and I finished it with a coat of Seche Vite. 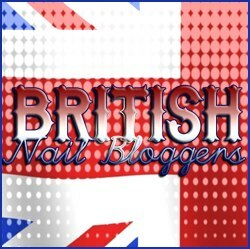 This entry was posted on Saturday, January 11th, 2014 at 8:50 AM	and tagged with Black, China Glaze, China Glaze Cosmic Dust, Dragon Nail Art, Holographic, Manicure, Messy Mansion, MM21, Nail Art, Nail polish, Nail Stamping, Nail Varnish, Revlon, Revlon Black Magic, Seche Vite, silver and posted in Nail Art, Nail Stamping. You can follow any responses to this entry through the RSS 2.0 feed. « Jess Nail Polish Swatches! Atomic, Dancing Queen and Pixie. Happy Birthday! 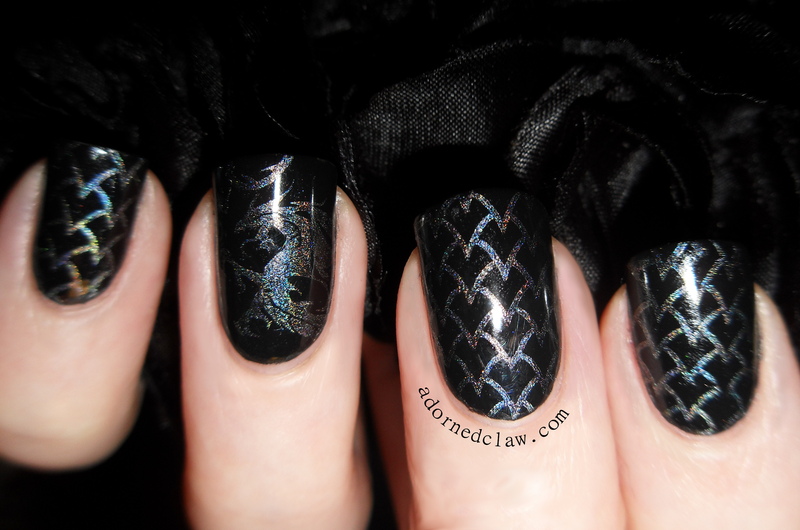 I love these dragon nails. In fact, that may be the last incentive I need to pick up some MM plates, because I bet that purple CG holo would make a mean dragon stamp! Great look! 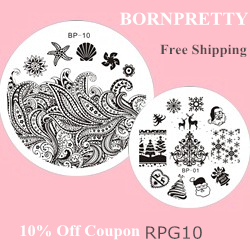 This is fantastic,very very pretty! A-ma-zing! I love, love, love this mani. Hehe! 😀 Thank you so much! Happy birthday! I love your dragon mani! I got that MM plate and can’t wait to use it. Happy Birthday! I love that manicure, the colours work so well together. Sorry you didn’t manage to get a pet dragon for your birthday! c’est superbe et classe!!!! j’adore!!! Oh yay! Happy belated birthday!! Seriously. Did you not get the dragon egg in the mail? I specifically enchanted Royal Mail to care for it and keep it warm, it was supposed to get to Bath all snuggled up and ready to crack!!! Talk to your postman. I bet he has a dragon puppy at his place RIGHT NOW. Disgrace. Ugh Evil postman… stealin’ my dragon! Grrrrr! I will find him. And I will kill him. Or we’ll just hire Neeson to find your dragon.